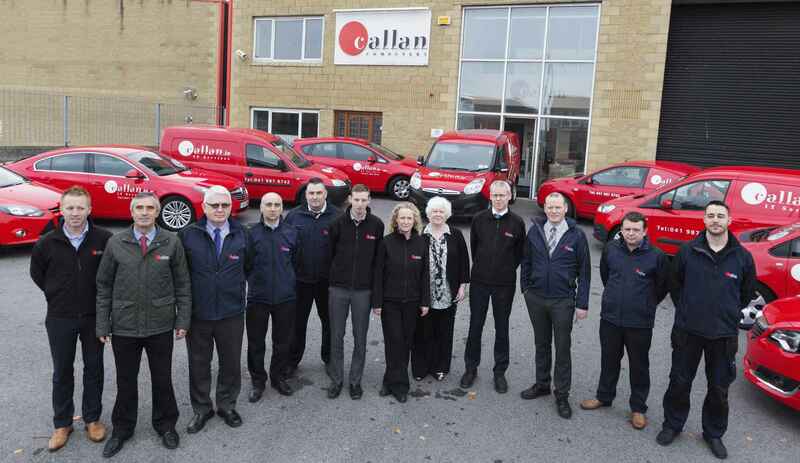 Callan is the largest and most successful ICT solutions and services providers in the North East. Established in 1984, we have been at the forefront of technology innovation in Ireland for the past three decades. Our Head Office is located in East Coast Business Park in Drogheda, where it occupies its own multi-purpose office for helpdesk, telesales and administration. Our ultimate objective is to provide quality products and services, underline the company’s strong commitment to the business community and employing local staff with the highest industry accreditations. We work closely with the leading global technology companies such as Microsoft, HP, IBM, Cisco and VMware. We deliver end-to-end IT, Managed Connectivity, ERP Solutions and Cloud Services to business throughout Ireland. Our collaborative partnerships ensure we are always fully up-to-date with the latest technology developments and can provide our customers with tailored solutions which meet their business requirements. Our vision and our mission is centred around the needs of our customers. The world is in constant change and so are Callan Computers. We recognise the need to adapt and keep up to date with new technology and develop new services for existing and potential customers. Callan Computers have always had one objective - to supply good quality products at competitive prices. IBM has been Callan Computers' main product for the past 20 years. We provide a full range of IT services at Callan Computers. Drawing on years of customer oriented experience we can provide you with a total solution and the necessary support to keep you ahead of your competitors.